March 2006 of the British Magazine, Classic and Sports Car. 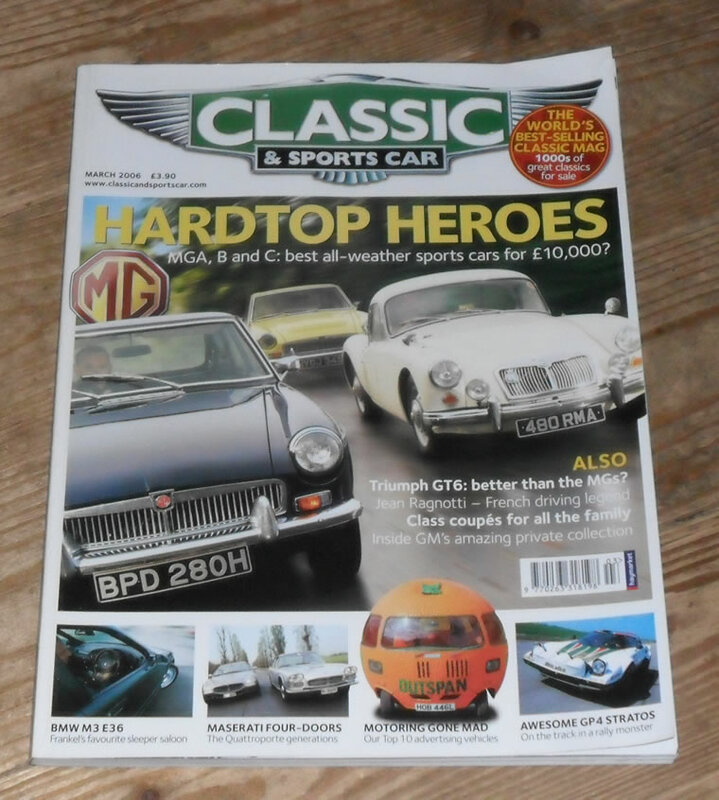 The cover feature of this issue is MG Hardtops. Other articles include items on the BMW M3, 4-door Maseratis, Triumph GT6, Opel Monza, Datsun 240K Skyline, Lancia Gamma Coupe and many more.